With Keencut’s Excalibur 5000, your shop has access to four precision cutters in one: a twin-wheel cutting head, a utility blade, a scoring blade for acrylic and a tungsten carbide glass scoring wheel. 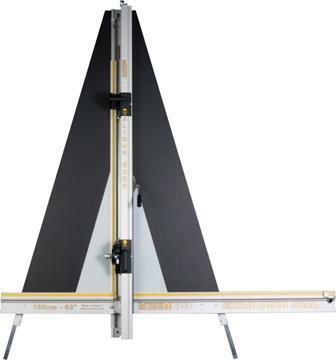 Designed for professionals in the framing, photography, education and reprographics industries dealing with + or – tolerances of 1⁄8" to ¼", the Excalibur trims a wide range of sheet materials accurately and in square, with minimum effort. Turn & Lock ready tools. All four blades cut on the same line. Twin-Wheel cutting head for shearing 1/8" Uncoated Masonite®, heavy mat board and 3/8" Sintra®.